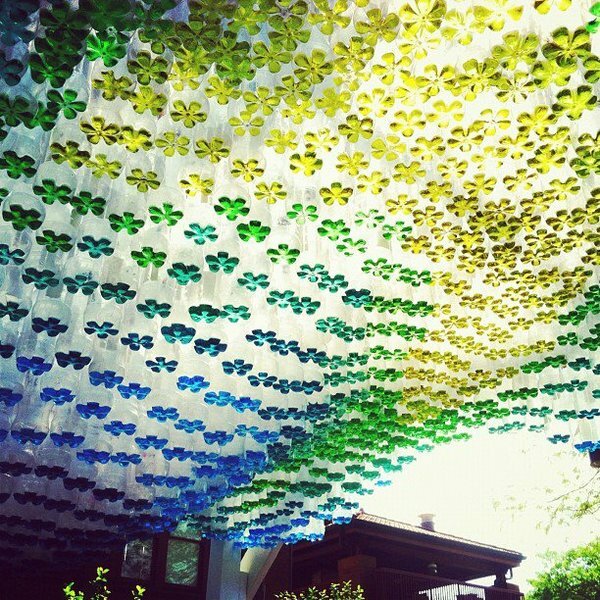 Thanks to my friends at thisiscolossal.com for alerting me to this recent creation by architect Garth Britzman. 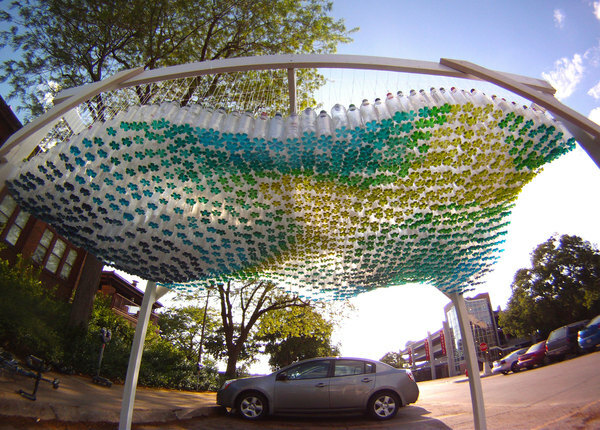 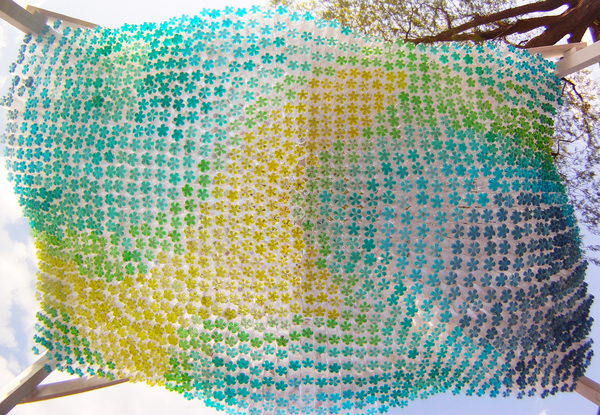 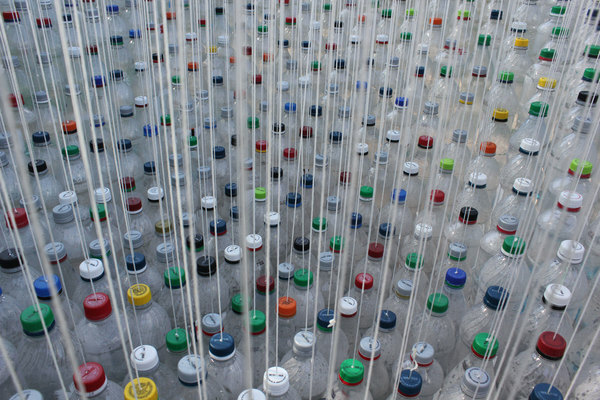 Made entirely of plastic bottles filled with colored water, this is the ultimate in ingenuity and fun. 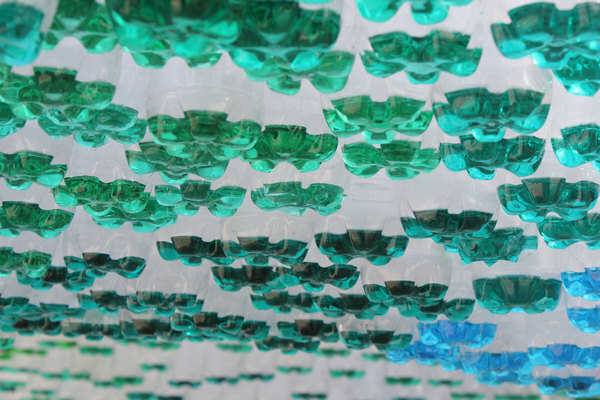 Brilliant vision to even see the beauty in the bottom of a bottle- and then to build a structure! 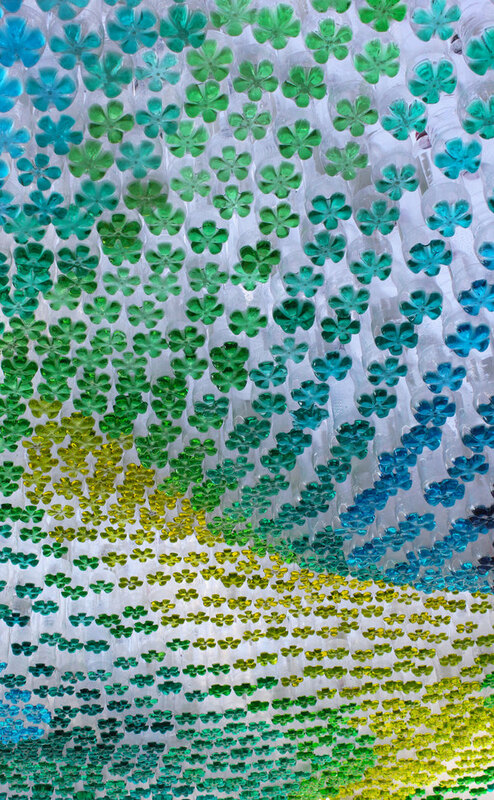 I am in awe!